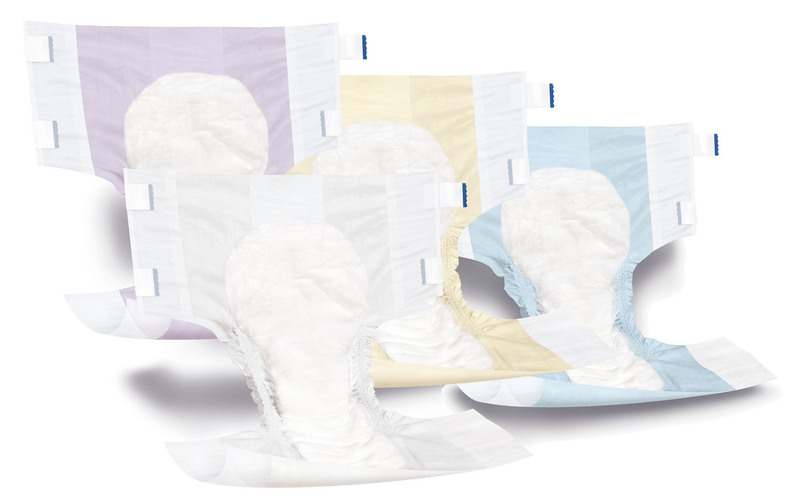 Urinary & Incontinence ProductsComfort Mobility Inc. | Comfort Mobility Inc.
Comfort-Aire™ briefs feature and ultra Absorbent core for optimal dryness and protection. Breathable side panels offer increased airflow and comfort. Extra wide skin- safe "grab anywhere" closure system for a secure, safe, and refastenable fit. Generous leg cut out for exceptional comfort. Wetness indicator changes color when garment has been soiled. 20-24 count bag. Count varies by size(Small - XLarge).